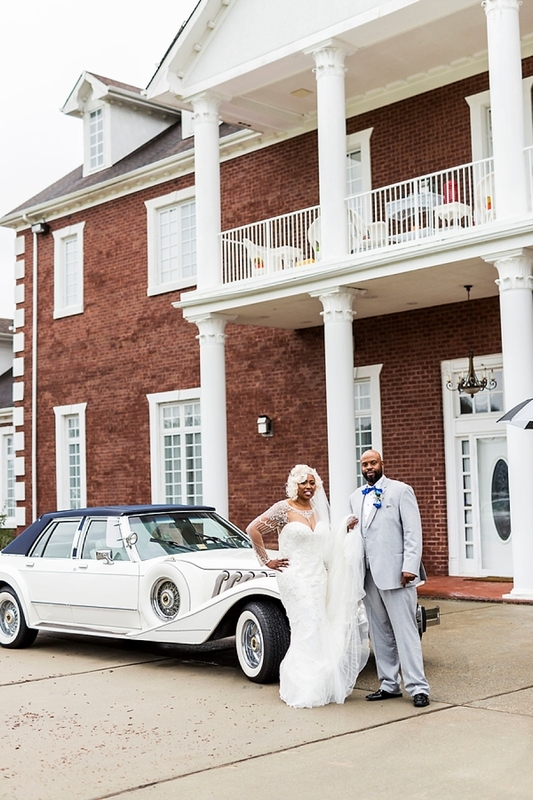 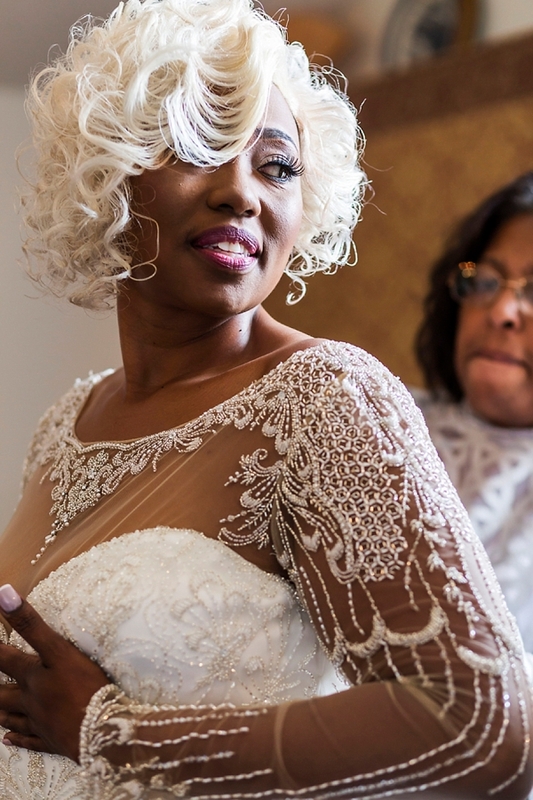 Full of glitz and glamour, La'Chanda and Anthony's wedding celebration at The Mansion at Double R Ranch in Suffolk, Virginia was nothing short of sparkly romance. 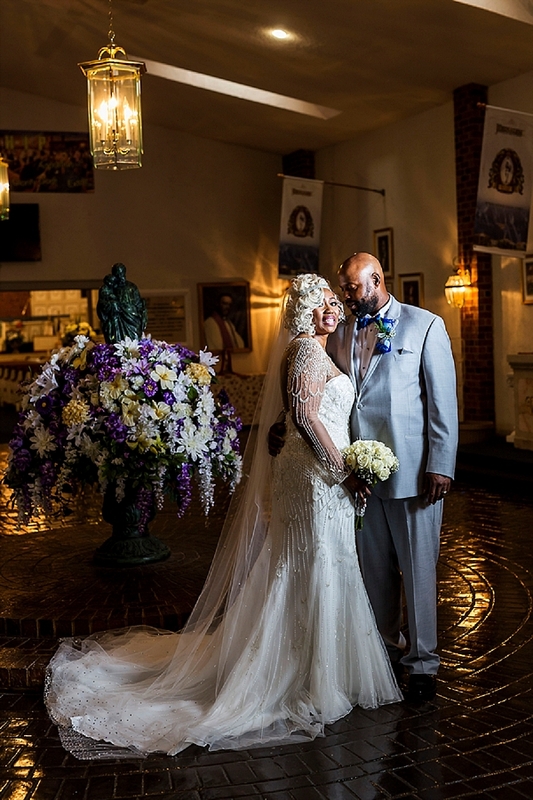 These two lovebirds met by chance one evening out in Washington D.C. while La'Chanda was working on her music writing. 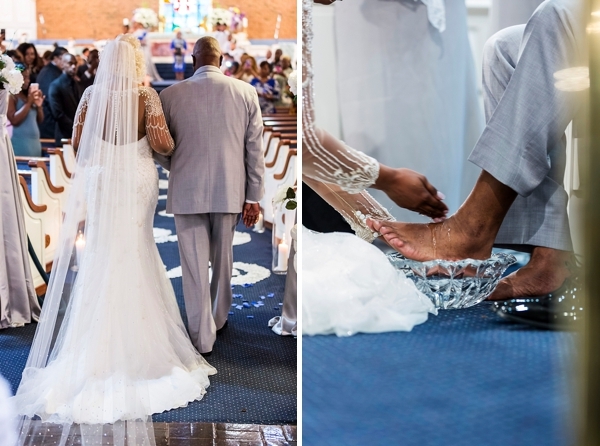 After a series of phone calls and hundreds of miles apart, the long distance relationship grew stronger, but they both yearned to be closer together. 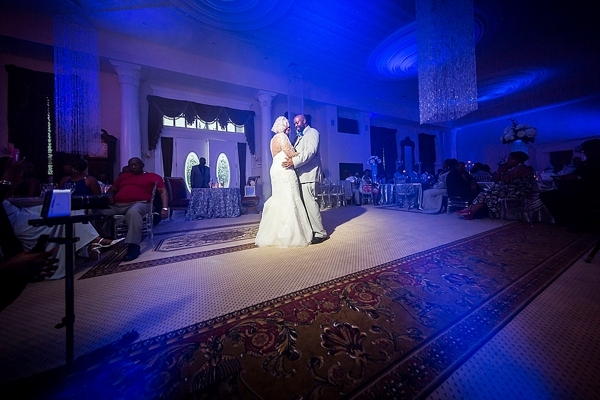 When Anthony finally moved to Virginia Beach to be closer to the one he loved, the rest of the story naturally unfolded into their next greatest chapter yet! 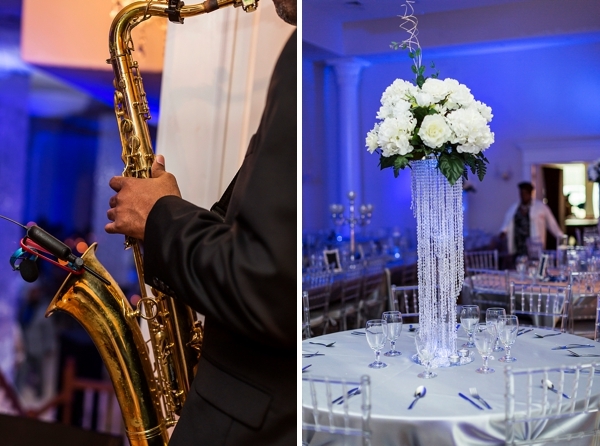 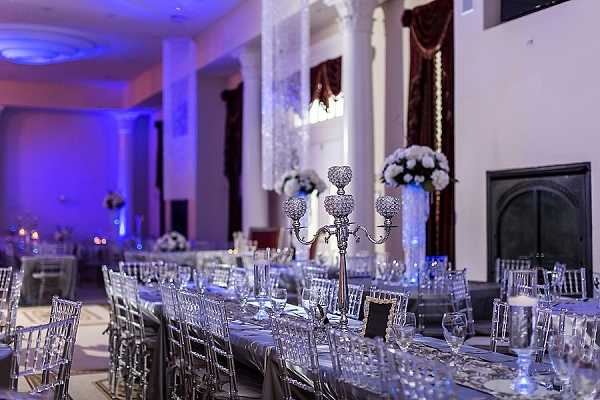 With diamond-inspired decor shining against royal blue accents, everything shimmered with classic luxe elegance. 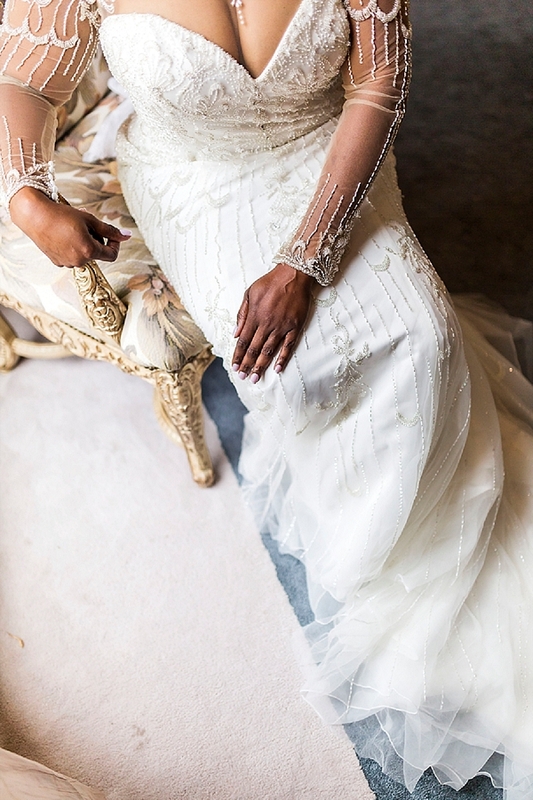 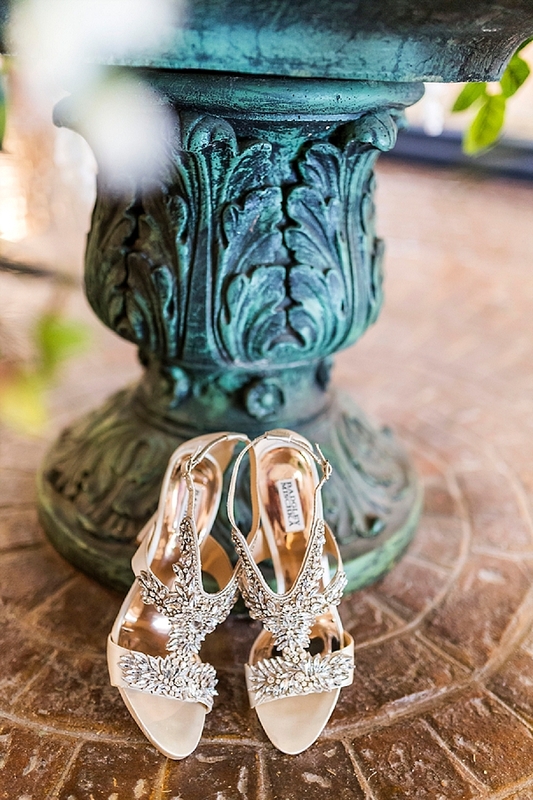 Captured by Dragon Studio, La'Chanda's exquisitely beaded art deco wedding gown by Justin Alexander with a bejeweled illusion necklace and dazzling Badgley Mischka heels were true statement pieces for the special day. 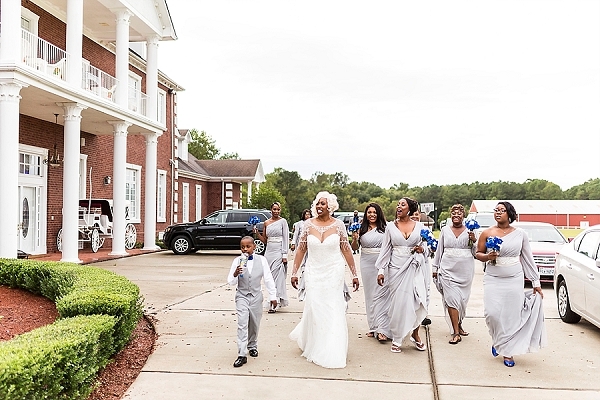 Surrounded by pale dove gray bridesmaid dresses, live band music, a touching foot washing ceremony tradition, dripping crystals, and a bold and colorful reception dress change, get ready to celebrate with Anthony and La'Chanda and their shimmery wedding!